Since the end of the civil war in 2002, the government of Angola has used Chinese credit facilities backed by petroleum guarantees for massive infrastructure rehabilitation and to build prestige urban projects. The most famous is the public-privately developed Kilamba “Centralidade” with 20 000 apartments, China’s largest housing venture in Africa. The apartments, at first promoted as social-housing, were initially too expensive for most of the population and the state had to draw funds from its housing budget to subsidise the scheme to make units affordable for upper-middle-level civil servants. Further projects, comprising an estimated 150 000 units, are planned in all 18 provinces across the country. In service of this vision, the private sector, both international and local, has been a major beneficiary of construction subsidies from the Angolan state. Overseas financing, in the form of oil-backed loans, has fed one of the African continent’s fastest growing housing construction booms. The financial flow has been in the form of credit lines rather than true foreign direct investment (FDI). The private sector, both local and international, however, has shown reluctance to invest its own money in the real-estate market since the deflation of the high-end housing bubble after 2010. Weak land tenure legislation and the lack of secure legal guarantees are the reasons given by most commercial banks for their 86 percent refusal rate on requests for mortgages. Foreign real-estate developers therefore seek out public-private partnership (PPP) arrangements with state actors who can provided protection against land disputes and financial risks. Angola is Sub-Saharan Africa’s third-largest economy, with crude oil accounting for almost all of its exports and more than two-thirds of government revenues. The dramatic fall of petroleum prices from 2014 through 2016, has resulted in the Angolan state budget being substantially reduced. It is unlikely that the government will be able to provide investment and subsidies to continue building new housing in the same form and rhythm as before. Between 2014 and 2016 the state budget allocations have fallen from US$ 74 billion to US$ 41 billion. The proportion of GDP represented by the construction sector has declined from 8 percent in 2014 to 3.1 percent in 2016. The significant delivery of housing by the state during the last decade, totaling 172 575 units until the end of 2015, has not only satisfied an important segment of the middle-class and better-paid civil servants but also created high expectations from lower-paid workers and the economically active urban poor who also seek to benefit from subsidised social housing. The unmet demand for housing at the bottom of the pyramid is emerging as an important driver of the housing economy. The government remains committed politically to deliver on its social housing promises that were announced by the president in 2008. At that time the shortfall in the housing stock was estimated to be 1.9 million units, and the government mapped out a plan to deliver one million of these units. The resources that government expected to be able to draw on in order to do this, however, are no longer as significant and new resource mobilisation strategies are needed. In this new and challenging economic environment, an untapped resource that could be the key to growing Angola’s housing and urban infrastructure sector is ‘land’. Post-socialist countries like Angola, Mozambique, Ethiopia and China have unique opportunities through the conversion of state-monopoly-owned land for urban uses. The spectacular growth of Chinese cities during the last three decades has been fueled largely by land-value-capture. The case often mentioned is Shenzhen, and its model of real-estate development. The experience of Shenzhen may offer lessons for African cities on what could be replicated or adapted, and on what to avoid at all costs. China’s decision in the early 1980s to promote municipalisation, decentralize governance and give local authorities true financial autonomy stimulated rapid urban and economic growth. Chinese cities’ most valuable asset was the state land that they managed and were able to lease or sell development rights to private sector investors. Municipalities like Shenzhen were able to use the earnings from sales of ‘use-rights’ and leases to finance social housing and the provision of urban infrastructure. The conversion of land in this manner increased real estate values and generated more wealth and stimulated rapid urban growth, but also led to conflict with rural communities at the city’s periphery. Land-value capture is a principal employed by cities globally to finance municipal budgets, sometimes by developing partnerships with real-estate investors and local communities or by taxing occupation or charging fees for changes in land-use. Like in China, the origin of the wealth that grows and sustains these cities is home owner’s savings and private sector investors. These are resources that remain untapped in Angola. 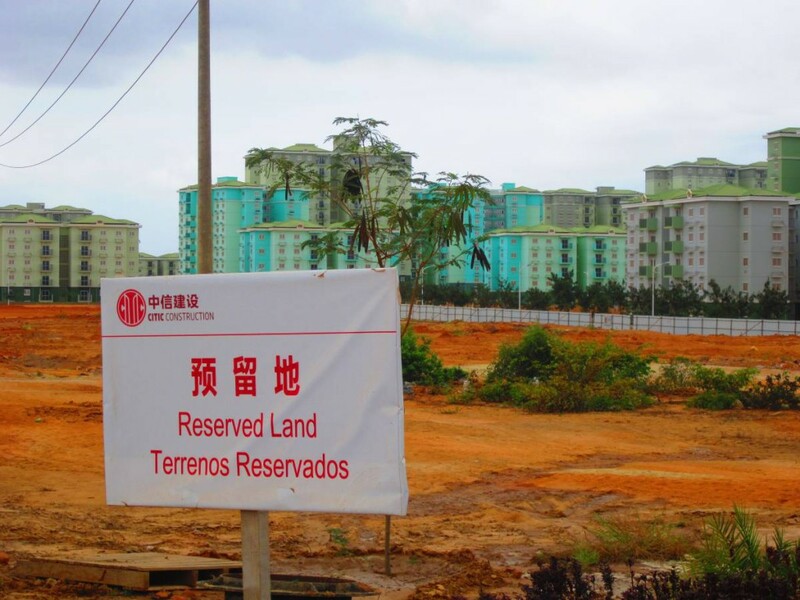 Angolan cities have extensive unplanned high-density settlements ‘musseques’, where land occupation remains undocumented and dwellings not serviced. In post-socialist countries like Angola, the state has a unique opportunity through the registration and regularisation of tenure to increase land values and ensure that part of this value is captured from private investment for the public benefit. Municipalities can use revenues in the form of fees from registration, land use transfers and taxes for upgrading infrastructure and the provision of social housing, promoting a virtuous cycle of increasing values that accompany urban transformation. If Angola’s remaining housing needs are to be addressed, new sources of investment will be necessary and untapped resources need to be unblocked. Both the local and international private sector has been reluctant so far to provide their own financing and invest in real-estate due to weak land tenure and the lack of legislative reforms to make a functional land market. Solving the problems about land tenure is the first step to stimulate the engagement of private sector participation in providing financing for housing. Implementing some of the long pending reforms in housing credit, participatory planning and fiscal decentralisation for municipalities could encourage the home owners themselves and private sector to invest in urban development and housing opportunities. The same reforms are also likely to stimulate foreign direct investment (FDI) in the real estate sector. Land and housing registration is out of date and municipal cadastres need to be created. Only a few thousand properties out of Luanda’s one million dwellings are fully registered and regularly pay taxes. Legislation providing secure tenure remains to be finalised and gazetted and local administrations trained to implement land readjustment of informal settlements. The law on mortgages needs to be finalised allowing financial institutions to hold liens on real-estate, giving them the confidence to invest their own resources in the housing market. Fiscal decentralisation from the central state budget to municipalities will provide incentives to capture land value and invest in public infrastructure that can in-turn create more value. While the Angolan government continues to seek to borrow funds from China against projected oil production, the conditions of these loans have had to be renegotiated. An easing of the terms of repayment of these loans was agreed in June 2015 and new infrastructure loans, tied to Chinese companies, valued at US$ 6 billion were promised. Angola has, however, committed itself to find new ways of diversifying and growing its economy in the new environment of lower commodity prices. China’s urban development experience in land-value capture, if shared, may prove to be as valuable as its loans. If a new strategy to finance housing and urban growth is to be sustainable, it is critical to engage the private sector and householders themselves. But this depends on strong policy environments and a productive dialogue between the public and private sector. Planned reforms related to urban land, mortgage credit and municipal financing need to be implemented in order to unblock opportunities to respond to the Angola’s enormous pent up housing demand.